Jan 7, 2008 - So, what's new ?! 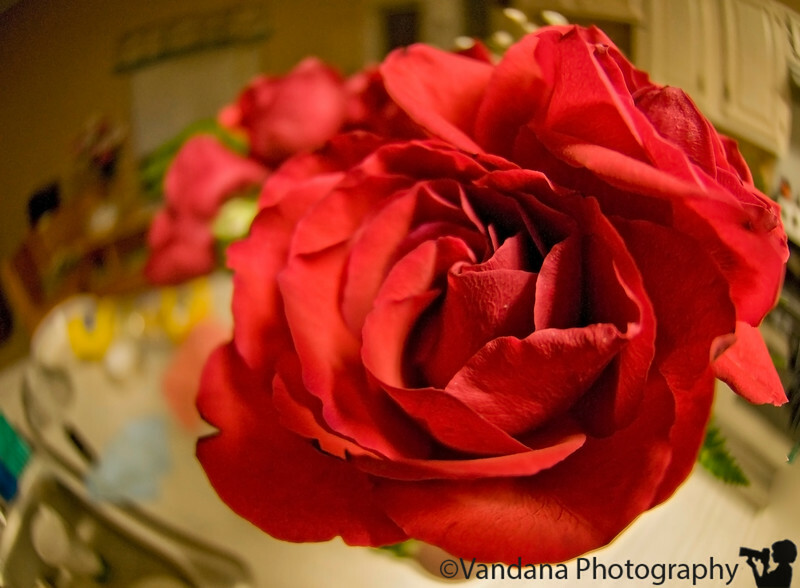 Very clever Vandana...you put the camera to the test. Great shot. Sharp and clear. Great dof...no noise, nice. Enjoy...you deserve it! what's new is the camera ! I upgraded from a D200 to a nikon D300; 1st day playing with the camera - so much has been said about the D300 high ISO performance - so I took the shot at ISO 1600 - which would ;ve been next to impossible with my D200, the noise would be terrible - but nobody seems to mentioned noise in the comments, so I think it's doing great :) ! Fisheye? anyway, nice detail and color. mmmmm...I can smell the roses now! Pretty rose! Reds are so hard! Nice.